Sales commercials on TV again? Don’t change the channel! Use them as lessons instead. 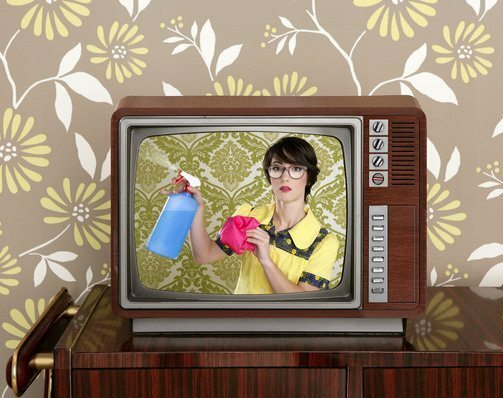 If you turn on the television, chances are you’ll see more sales commercials than TV shows. Consumers have a love/hate relationship with commercials. They complain about them, but then they’re glued to the Super Bowl, just to see the newest and most expensive commercials aired. Blitz lead management software enables leads to feed automatically into Blitz, assign them to staff and start an automatic follow-up process. Sign up for a 30-day FREE trial. There’s no denying that sales commercials are effective. What can make children more interested in toys and adults crave more food than TV advertisements? But what as salespeople can we learn from sales commercials? These ten advertisements range from old to new, amateur to professional, and silly to serious. All of them have valuable sales lessons for us to consider the next time we work with our clients. Humor works well in sales commercials. One way to create a successful advertisement is to play on stereotypes like AutoCreditExpress did by mocking this car salesman. We aren’t suggesting acting like this salesperson; we’re simply hoping you’ll remember that humor goes a long way in the sales process. Can you get your customers to open up and laugh with you? The lesson from this commercial is for sales staff to know their facts. In the first eight seconds, the salesman can quickly and succinctly answer his customers’ questions, which makes them more comfortable with the purchase. Be prepared for any questions your prospects may ask. Fine-tune your ability to read prospects, in addition to preparing information, though it might not be a good idea to respond back in a different language, like this sales person. What does that do besides embarrass your new customer? Give your customers the privacy they are hoping for. Encourage excitement and anticipation. If you have a big event coming up that you plan on doing some advertising for, be creative. Even if you can’t afford an ad on TV like this one, you might be considering sending out flyers or doing an email campaign to announce the sales event. Find ways to do so creatively, like doing a countdown or sneak peek for VIP customers. If you build anticipation, your customers will be more excited about making a purchase. This funny commercial can teach sales staff two valuable lessons. First, work with the most up-to-date information. The second lesson is to be easy-going. These monkeys sure know how to let loose. We don’t suggest the same level of celebration, but we do encourage you to keep a positive attitude about your company’s growth. Presentation makes a significant difference in whether or not prospects will want to buy your product. Are your sales employees enthusiastic about the products they’re selling? Customers are highly influenced by their salesperson’s mood and disposition. If he appears excited about what is he’s selling, it will show. A lackluster showing of a product will leave your clients bored and uninterested in continuing the sale. How many times have you seen commercials for President’s Day car sales? Since that is one of the biggest sales periods of the year, each company usually produces sales commercials. If you’re going to advertise for the same sale yearly, you need to be creative with your approach. Honda took the time with this commercial to outline some new features creatively. How can you get this song out of your head after you hear it? Be memorable! It’s okay to call out your competitors, just be respectful and creative in your attempt. This Sprint ad is both humorous and direct. It uses the power of a viral video to compare the price difference between its services and their customers. What can you do to stay fresh in your prospects minds when they do research on your competitors? One lesson you can learn from sales commercials is to show your product in use. If you show customers how to use your product, they’ll be more interested to see it fit into their own life. One way this lesson plays into retail sales is companies like Apple or Best Buy, who keep their electronics on display and available for customers to play with. Another way to put this into practice is by offering a free trial of your product. Give your customers a chance to try you out for a fit, and chances are they’ll like what they see. That’s why we encourage our free 30-day trial at Blitz. We want our prospects to see firsthand how our system automates sales and marketing follow-up, so you don’t have to. We’ve been able to cut down the time sales professionals spend sending emails and assigning leads, and allow them to do what they do best – close a sale. What sales commercials have you learned from in the past? Share them in the comments section!